"My monster lefty MTD KZ6 has become a mega monster MTD Bartolini KZ6 with Bartolinis! What a super tone and richness! " Paapu is originally from Assam, a state in North-Eastern India and was raised in a very musical family. He started singing at an early age and learning the Tabla, which is an Indian Classical Percussion Instrument. 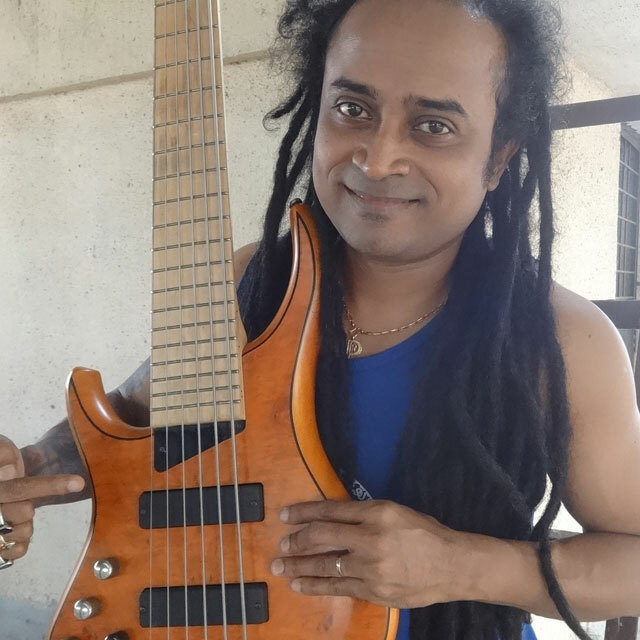 Classical Indian music is rhythmically very complex and his experience with the Tabla turned out to be an outstanding foundation for his bass and guitar education. He has studied all genres of music – both Eastern and Western (Blues, Jazz, Funk, Folk and Fusion). Paapu also studied Sound Engineering. He moved to Mumbai (major center of Bollywood) and became very involved in the Bollywood film and music industry – from lending his bass chops, working with backup singers, music directors, etc. He is also doing recording sessions and musical TV shows too. He travels around the world with various artists and his Sufi-fusion band “Indie Routes”. Additionally Paapu is working on his solo project, where he blends folk and classical music and musical instruments of India with world popular genres. He has a laser focused vision for the new music he wants to create. Paapu Leftybass is always available for online collaboration, remote recording of tracks and of course loves to perform and tour. He has a strong sense of rhythmic structure and can contribute vocals, guitar, recording insight and serve as musical director. He is fluent in Hindi and English and lives easily in the Eastern or Western music world.